Facial aging can have damaging effects on a person’s self-esteem and impact their quality of life. Facelift surgery is the tried-and-true method of reversing signs of aging in the lower face and neck. Patients who choose this procedure can enjoy smoother, tighter skin and enhanced jawline definition. However, in some cases, the best approach to producing overall facial rejuvenation involves performing a facelift in conjunction with other procedures. Patients who desire a younger-looking aesthetic may want to consider combining their facelift with a brow lift, blepharoplasty, or facial implants. As we age, we may start to notice our eyelids sagging or becoming puffy. Because facelift surgery only targets the lower portion of the face, signs of aging in the eye area must be addressed with blepharoplasty. Blepharoplasty revitalizes the eyes by removing excess skin and tightening the remaining tissues. 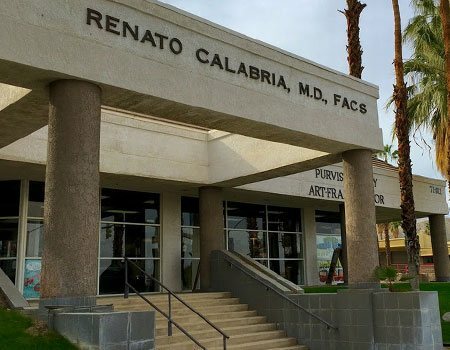 Unlike some surgeons, Dr. Renato Calabria does not remove the fat in the treated area; instead, he repositions it to avoid making the eyes appear hollow. Depending on your needs, this procedure can be performed on the upper eyelids, lower eyelids, or both. Drooping eyebrows and forehead creases can contribute to an angry, unapproachable, and aged look. While blepharoplasty can give the eyes a brighter, wider appearance, a brow lift corrects the upper portion of the face. Brow lift surgery raises sagging eyebrows to a more youthful position, making the eyes appear more pleasant and inviting. Dr. Calabria performs brow lift surgery with an endoscope, which results in a speedy recovery and imperceivable scarring. For many patients, volume loss plays a critical role in facial aging. When the face experiences a loss of volume as a result of maturation, certain features can lack youthful prominence and appear hollowed or recessed. Facial implants are an excellent and long-lasting solution for restoring plump cheeks, a well-defined chin, or a sculpted jawline. Dr. Calabria performs minimally invasive facial implant procedures with artistic precision, delivering beautiful results with minimal scarring. 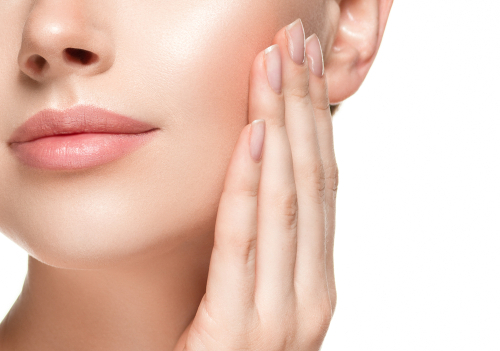 While plenty of surgical procedures can complement your facelift, there are also many minimally invasive treatments that deliver stunning facial rejuvenation and contouring effects. These cosmetic approaches can enhance the results of your facelift and produce gorgeous effects without adding to the recovery time of your primary surgery. Some patients can achieve their desired aesthetic by combining their facelift with lip augmentation, laser skin resurfacing, or facial fillers. For more information about your facial rejuvenation options, please schedule a consultation with Dr. Renato Calabria by calling 760.836.0077.